abilash anand 1 year, 8 months ago. If you like this ROM by WisniaPL, then you can consider a donation to WisniaPL, to keep him motivated. THIS IS AN INITIAL BUILD AND MAY HAVE MANY BUGS. HAVE A BACKUP OF THE CURRENT ROM BEFORE FLASHING THIS ROM AND TRY AT YOUR OWN RISK. Installing a custom ROM on a Le 1s (x500, x3) requires the bootloader to be unlocked on the Le 1s (x500, x3) phone, which may VOID your warranty and may delete all your data. Before proceeding further you may consider backup all data on the phone. You are the only person doing changes to your phone and I cannot be held responsible for the mistakes done by YOU. Download and Copy the GApps and Lineage OS 14.1 for Le 1s ROM ZIP to your phone. First flash the Le 1s Lineage OS 14.1 ROM ZIP from device. Then flash the GApps zip from your device memory. Reboot and Enjoy the Nougat 7.1 Lineage OS 14.1 ROM for Le 1s (x500). 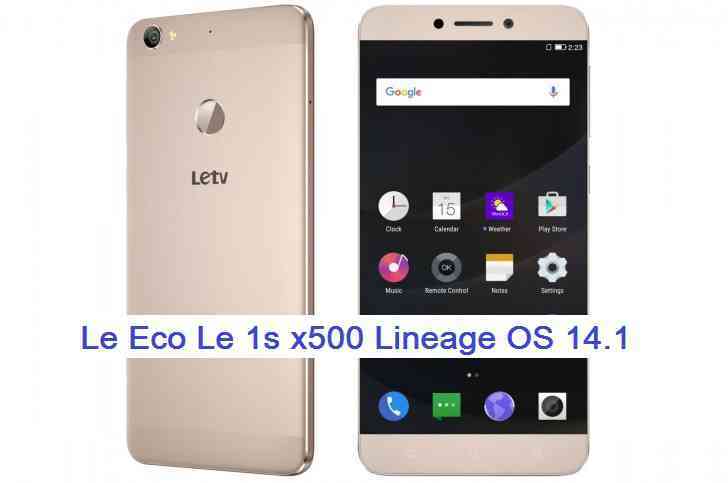 Copy the latest Lineage OS 14.1 for Le 1s ROM ZIP file to your phone. Stay tuned or Subscribe to the Le 1s (x3) forum For other Android Nougat ROMs, Lineage OS 14.1 ROMs, other ROMs and all other device specific topics. Development thread for the Le 1s Lineage OS by WisniaPL is here. It would be great if you can help me figure out how to enable ‘Double Tap to wake-up screen’. But there is no such path as ’12-0038/wakeup-mode’. there is no such path as ’12-0038/wakeup-mode’. That setting is for Xiaomi Mi Mix. Your I2C display driver should have a sys entry of the wakeup-mode otherwise how will it work?? If you still curious to know then you can do the following experiment to see if the entry is present or not. Can you run the following command from your phone (try executing as a root. use ADB or a shell app on phone) and see if the filename really exist !! If you find the wakeup-mode file then write a 1 to that file and see if the d2w works for you or not !! i followed each and every steps accordingly but sill the rom doesnt get installed. it shows some error like no md5 file found and twrp 7 error.